Marketing is imperative for a business to grow. In order to ensure that the business achieves its potential, it is important to use the latest tools and technology to engage with the consumers. The global opportunities across the world make it important to build an online presence in order to help the business achieve its potential. 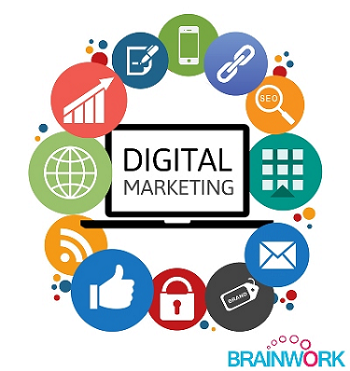 Brainwork offers complete digital marketing services under one roof. They will help you build an online image which will deliver high value and help achieve measurable financial goals. 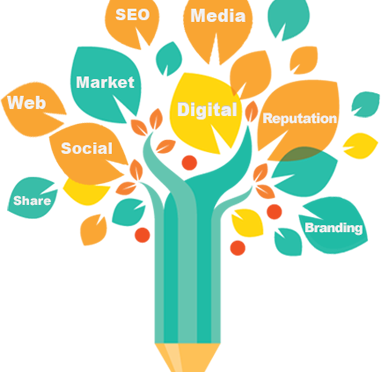 Digital marketing services include website design and development, content writing, pay per click, SEO, SMO, reputation management and mobile application development. Brainwork is known for the quality of services they offer. Keeping the client at the forefront, they understand the business needs and develop a marketing strategy which can be integrated into the current business model. With the use of latest technology and innovative strategies, they deliver high quality services within the given deadline. The skilled team at Brainwork will work with you even after the launch of your website and will provide complete technical support. With high quality services, Brainwork has achieved success and has catered to a large number of satisfied clients overseas and within the country. Brainwork sets apart from other agencies due to the ability of customization it offers to the clients. Every business is different and the agency offers customized solutions that are apt for the industry. They do not offer run out of the mill options to every client. The team will understand the business and develop tools which will help achieve the long term business goals. All the services are available at an affordable rate and can be easily integrated into the existing business model. A lot of people did not understand the importance of website development earlier. The brick and mortar model has been replaced with a convenient and efficient ecommerce business model. With growing awareness amongst consumers, every business tries to develop a website which is unique and stands apart. Due to increasing competition in the industry, it has become important to build an online presence that will help the business grow. Brainwork offers ecommerce solutions that make it easy to reach out to consumers and sell products and services. They also offer mobile application development based on the requirements of their clients. Every service is aimed at helping you take your business to a higher level without having to worry about the cost and marketing strategy. Contact Brainwork for digital marketing service and watch your business grow! In order to increase online visibility, every business opts for digital marketing. It is a unique method of marketing the products and services with the use of digital technologies. There is a significant rise in the users of smartphones as well as social media platforms. Social media has become an important source of marketing the products and services. Digital marketing will help you remain on the top of the search engine listings, social media and other apps. Brainwork is one of the Top 10 Digital Marketing Companies in Delhi which offers unique solutions to the clients. 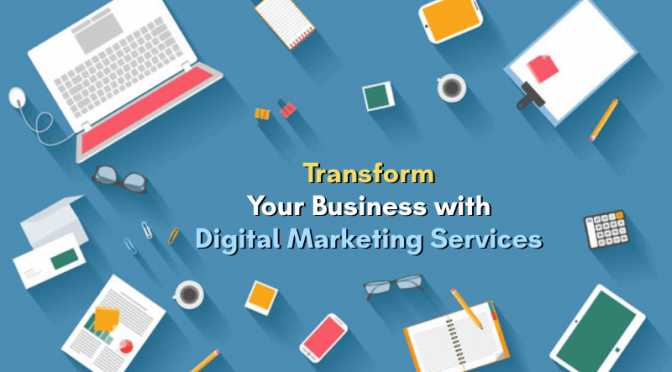 The digital marketing company has worked with various clients in the past and strives to provide customized solutions that are specific to your business. With a professional approach in their services, the skilled team ensures that your marketing campaign is unique and reaches to the target audience. It offers complete web development services in addition to content writing, SEO, reputation management, website development and mobile app development. Brainwork uses the latest technology to help build your business and increase brand awareness. The skilled team has many years of experience in the industry and strives to provide a better marketing solution with each project. The tailored marketing campaigns will help advertise your products in a unique manner and will effectively engage new customers. It offers unique services for startups in order to help them build a brand and draw investment from prospective investors. The marketing solutions offered by Brainwork are interesting and unique in every manner. Brainwork strives to deliver web-based solutions which are unique and target your audience. The skilled team uses unique concepts to deliver business solutions. They begin with understanding your business in the industry and deliver customized solutions as per your requirement. It is important to maintain a website once it goes live, Brainwork will help you with the same. It offers unique content development services, reputation management and pay per click services that will constantly handle the traffic and increase online visibility. The skilled team of professional believes in delivering high-quality solutions for your business requirement and constantly strives to improve their services. They have already worked with various renowned clients in the industry and offer unique solutions to one and all. They are considered as top 10 digital marketing companies in Delhi mainly because they deliver only the best to the clients. The digital revolution has gained prominence in the last decade or so, which is evident from the deluge of technologies, coupled with the advent of online shopping portals, mobile apps, and expansion of global media. Before the digital revolution set into effect, digital marketers trained their focus on creating compelling ads and TV commercials. In addition, some of them splashed the billboards with their creativity. However, the scope of marketing has evolved in a big way since then and technology has facilitated online marketing activities as they seek to reach out to target audience through thousands of channels. In addition, there is a considerable shift in focus towards a data-driven approach to marketing. This has brought better insight to marketers into customer behavior. It is worth noting that as far as digital marketing is concerned, online data is pivotal to success and marketers should assume responsibility for compiling online data sets into a database. Regardless of the fact that a digital marketing company is equipped with all the relevant offline data, including name, mailing address, and telephone number, one cannot overlook e-mail as one of the most cost-effective tools of digital marketing. While e-mail is just another tool to address the target audience, additional strategies such as paid search advertising and content marketing are gaining popularity in the digital landscape. Considering the fact that marketers have braced themselves for on-line messaging, data has become ever-critical. Apart from traditional data, it includes social posts and information concerning transactions and searches.